Our workshops are focused, detailed two-hour training sessions that combine lecture time and hands-on dog training. You and your dog will not only make progress during the workshop, but will also leave with a greater understanding of dog training and a clear path toward continued improvement. Workshops are $60 + tax, but Flex Class Passholders can register for a workshop using 2 class credits. Workshops are 2 hours long. We teach for 45 minutes, then pause for a 15 minute break, teach for another 45 minutes, and then finish with a 15 minute "Q&A" period. Are you new to Crossbones Dog Academy? Workshops are fast-paced and we need all attendees (dog & human!) to have the same foundation knowledge. If you have never taken clicker training group classes with your dog before, you must attend an Orientation class prior to registering for a workshop. If you have taken similar classes elsewhere, please contact us and let us know where you have trained prior to registering. Are walks with your dog anything but pleasant? Does your dog pull, lag, sniff excessively, or slam on the brakes during walks? 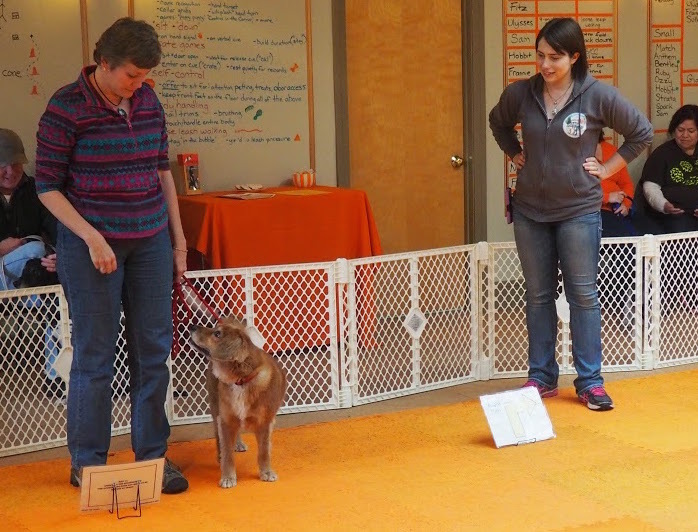 In this workshop, you’ll learn how to teach your dog to walk politely at your side. Topics include management to prevent those undesirable habits from worsening, treat delivery strategies, exactly what to do when your dog starts pulling, and working through distractions. NOTE: This workshop is not appropriate for dogs who lunge at or vocalize towards other dogs. Please see our Lunge & Barkers Anonymous training program if your dog struggles with seeing other dogs on walks. Saturday, March 23rd from 12:30PM-2:30PM - FULL! Do you struggle with recalls or loose leash walking outside because your dog is interested in critters? Do you already play fetch or tug but want to supercharge that skill and use it to build STRONG behaviors and FAST responses? Do you have a puppy and want to have a variety of ways to reward her for correct behavior, all while building your relationship together? 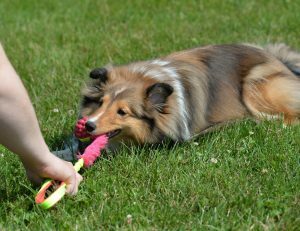 In this workshop, you’ll learn to develop tug, fetch, & "personal play" (using your body & charming personality to play with your dog rather than a toy) with your dog, and how to use these games to build & reinforce behavior in your dog. Sunday, March 31st from 10AM-12PM FULL! If you are interested in this workshop, please e-mail us to be added to the wait list. We will contact you if a space opens up and let you know when more dates are added. This workshop is an expanded version of our popular Intro to Dog Tricks & Trick Skill Building group classes. Your dog or puppy will learn behaviors for the Novice and Intermediate AKC Trick Dog tests. Testing is included in the workshop, and rosettes will be awarded for each test your dog passes. Tricks may include: spin in a circle, walk on a balance beam, get on a platform, find a hidden treat, hand signals, push ups, giving a kiss, shaking paws, weaving between the owner’s legs, catching toys and/or treats, crawling, balancing on a wobble board, roll over, pressing buttons, waving goodbye, and more! Is your dog is difficult at the vet or groomer? Do you struggle to trim your dog’s nails, give them medication, pick them up, or otherwise handle them? In this workshop, you’ll learn how to change your dog's mind about being handled. You will learn strategies for low-stress grooming, restraint, and medical procedures. Nail trimming will be covered extensively, and participants will build their own “scratch board” and learn how to teach their dogs to file their own nails. Note: The exercises in this workshop are geared toward healthy dogs with no physical problems or injuries. Participants should speak with their veterinarian before starting any exercise program. Have you always wanted to try our Intro to Agility class but just can't make Tuesdays at 4PM work for you? You're in luck... now there's a workshop version of this popular class! 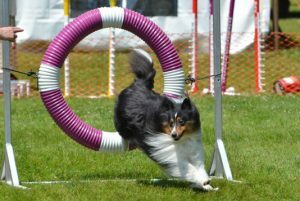 In this workshop, your dog or puppy will learn the basics of the most popular dog sport in the country: agility! Exercises include going through tunnels, over jumps, across narrow planks, navigating wobbly objects, & warm-up tricks. Obstacles will be kept low for puppies & senior dogs. Appropriate for all ages! Sunday, December 30th from 2PM-4PM FULL!